The House of Von Macrame is coming! 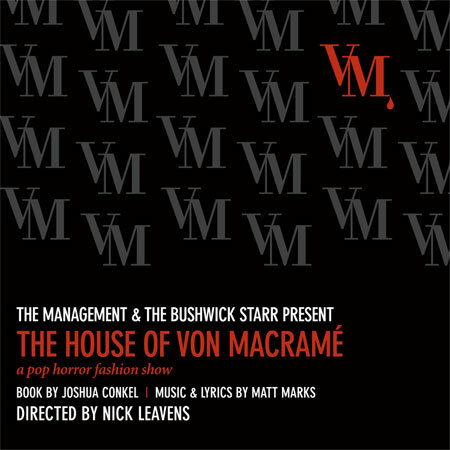 I’ve been working on my first musical, The House of Von Macrame, a pop horror fashion show with spooky synth music by Matt Marks and directed by wunderkind Nick Leavens of Clacque fame. Britt is just a small town girl who unwittingly becomes the muse to eccentric fashion designer, Edsel Von Macrame. 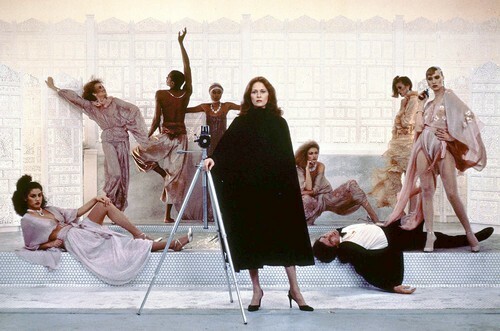 As she becomes tormented by psychic visions of grisly occult murders within the industry, she and famed fashion biographer Rosemary Crawley team up to search for the horrific truth. What’s behind this string of murdered models? And what glamorous terrors await them at The House of Von Macrame? A pop horror fashion show, The House of Von macrame is both celebration of stylish European horror films of the 60’s and 70’s and an exploration of zeitgeists and taste. We’re doing an informal workshop presentation at The Bushwick Starr on August 21st at 7pm where we’ll probably do a few scenes and sing some songs. You should come and, if you do, you better dress to kill.